Solubility is soluble in water and common organic solvents. [Use 1] As an organic synthesis reagent, it is used to prepare pesticides, dyes, pigment intermediates, acetoacetanilide (AAA) and pyrazolone (PMP) derivatives. [Use 2] Used as dyes, pigments, pesticides, pharmaceuticals and organic synthesis intermediates [Use 3] Diketene is an important intermediate for pesticides and medicines. It can be used to prepare fungicides, seedlings, snails, rust, and mold. Ling, dipyridamole, ethylpyrrolidone, insecticides monocrotophos, phosphonamine, fly poisonous phosphorus, amine chlorpyrifos, pyrimidine oxyphosphorus, dimethoate, diazinon, chlorpyrifos, anti-shun, le Fruit, omethoate, herbicide alachlor, acetochlor, butachlor, quizalofop, chlorpyrifos, sabin phosphorus. [Use 4] Diketene has a strong reaction ability and can be used to derive a variety of products. It is a raw material for fine chemical dyes, medicines, pesticides, food and feed additives, and additives. The acetoacetyl diethylamine obtained by the reaction of diketene and diethylamine is an intermediate of the organophosphorus insecticide phosphoniumamine; and the acetoacetamide obtained by the reaction with monomethylamine is an intermediate of monocrotophos. Diketene reacts with ammonia to form acetoacetamide for the synthesis of the dye intermediate 1-(4-chlorophenyl)-3-methyl-5-pyrazolone, 1-(4-sulfophenyl)- 3-methyl-5-pyrazolone; diketene reacts with ethanol to form ethyl acetoacetate, which is used to synthesize the dye intermediate 1-phenyl-3-methyl-5-pyrazolone, 1-(2, 5-Dichloro-4-sulfophenyl)-3-methyl-5-pyrazolone and the like. From these intermediates, dye permanent yellow G, acid medium jujube BN, neutral orange RL, neutral brown 5RL, neutral dark brown BRL, acid yellow G, weak acid yellow G, acid yellow 2G, active yellow K- 6G, active yellow M-5G, active yellow X-6G, neutral peach BL and so on. 1-Phenyl-3-methyl-5-pyrazolone and its derivatives are more widely used in the production of antipyretic analgesics antipyrine, aminopyrine, and analgin. Diketene can also be used in the synthesis of amino acids. Diketene, o-nitroaniline and ethanolamine are used as raw materials to prepare the feed additive olaquindox (Quaiyuling). Diketene is used for the synthesis of various heterocyclic compounds, such as synthetic pyrrole derivatives, isoxazole derivatives, pyrazolone derivatives, pyrimidine derivatives, thiazole derivatives, quinoline compounds, coumarin compounds, furans Derivatives; diketene can also be reacted with a series of compounds to form pyrone, pyridone, dioxane, oxazine and flavonoids. [Method 2] Industrially, acetic acid is used to prepare diketene, and acetone, acetic anhydride, and acetate can also be used as raw materials for thermal decomposition. The acetone thermal decomposition method can be used for small-scale production. This method is difficult to remove residual acetone because of the low purity of the obtained ketene gas due to by-product methane generation. 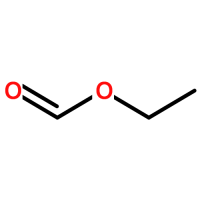 The glacial acetic acid is cleaved at 750-780 ° C in the presence of triethyl phosphate to give ketene, which is then polymerized at 8-10 ° C to form diketene. Since the LD50 of salt is 3,000 mg/kg, the acute toxicity of BPA is the same as that of salt. Rabbit percutaneous: open stimulation test, 500mg, mild irritation. 2. Biodegradability  The MITI-I test has an initial concentration of 100 mg/L, a sludge concentration of 30 mg/L, and a degradation of more than 94% after four weeks. 3. Non-biodegradability  In air, when the hydroxyl radical concentration is 5.00% 26times; 105/cm3, the degradation half-life is 7.4h (theoretical). 1. It has a strong stimulating effect on tissue mucosa and has tearing ability. Those with severe poisoning can cause emphysema, pulmonary edema, and even pulmonary hemorrhage. Animal MLC: cat 1.0 ~ 1.5mg / L, rabbit 2.5mg / L, rat 3.0mg / L. The maximum allowable concentration in air is 0.5~1.0mg/M3. Operators should wear protective gear. Splash on the skin and apply a lot of water to rinse. First aid measures [Skin contact] Remove contaminated clothing and rinse with plenty of running water for at least 15 minutes. Seek medical attention. [Eye contact] Immediately lift the eyelids and rinse thoroughly with plenty of running water or saline for at least 15 minutes. Seek medical attention. [Inhalation] Quickly leave the site to fresh air. Keep the airway open. If breathing is difficult, give oxygen. If breathing stops, perform artificial respiration immediately. Seek medical attention. [Ingestion] Rinse mouth with water to give milk or egg white. Seek medical attention. Fire-fighting measures [Hazardous characteristics] Flammable, in the presence of inorganic acids, bases, amines and Friedel-Craft catalysts, can be violently polymerized, releasing gas to blast the vessel. [Harmful combustion products] Carbon monoxide and carbon dioxide. [Fire Extinguishing Method] Firefighters must operate in an explosion-proof shelter because of the possibility of container blasting in the fire. Extinguishing media: foam, dry powder, carbon dioxide, sand. Leakage emergency treatment [Emergency treatment] Quickly evacuate personnel from the contaminated area to a safe area, and immediately isolate 150m, strictly restrict access. Cut off the fire. It is recommended that emergency personnel wear self-contained positive pressure breathing apparatus and wear anti-virus suits. Enter the scene from the upper wind. Cut off the source of the leak as much as possible. Prevent entry into restricted spaces such as sewers and flood drains. Small amount of leakage: absorbed with activated carbon or other inert materials. It can also be rinsed with a large amount of water, diluted in water and placed in the wastewater system. A large number of leaks: building dikes or digging pits. Cover with foam to reduce steam hazards. Spray water cools and dilutes the steam, protects the site personnel, and dilutes the spill into incombustibles. Use an explosion-proof pump to transfer to a tank truck or special collector, recycle or transport it to a waste disposal site for disposal. Contact Control / Personal Protection [Engineering Control] Closed operation, pay attention to ventilation. [Respiratory Protection] A filter-type gas mask (full face mask) or self-contained breathing apparatus should be worn when exposed to vapors. [Eye protection] Protection has been provided in respiratory protection. [Body protection] Wear tape anti-virus clothing. [Hand protection] Wear rubber and oil resistant gloves. [Other protection] Smoking, eating and drinking are prohibited at the work site. After work, take a shower. Avoid long-term repeated contact. [Operational Precautions] Closed operation, pay attention to ventilation. Operators must be specially trained to strictly follow the operating procedures. Operators are advised to wear a filter-type gas mask (full face mask) or self-contained breathing apparatus, a tape anti-drug, and rubber-resistant gloves. Keep away from fire, heat, and smoking in the workplace. Use explosion-proof ventilation systems and equipment. Prevent vapors from leaking into the workplace air. Avoid contact with oxidants, acids, bases, amines. Filling should control the flow rate to prevent static buildup. Lightly load and unload during handling to prevent damage to packaging and containers. Equipped with the corresponding variety and quantity of fire-fighting equipment and leakage emergency treatment equipment. Empty containers may be harmful residues. [Storage Precautions] Store in a cool, ventilated warehouse. Keep away from fire and heat. The temperature should not exceed 30 °C. The package is sealed and must not be in contact with air. It should be stored separately from oxidants, acids, alkalis and amines. Avoid mixing. Explosion-proof lighting and ventilation facilities are used. It is forbidden to use mechanical equipment and tools that are prone to sparks. The storage area should be equipped with leakage emergency treatment equipment and suitable containment materials.